The nose starts off with a background of nuttiness accompanied by smoldering moss and flamed orange peel. 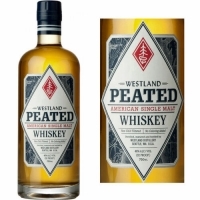 The peat leaps from the palate, expressing campfire notes, iodine, and roasted pistachios. With time, the smoldering moss on the nose evolves into burning embers and roasted plantains. The palate also transitions over time, moving towards significant earth notes, green herbs and increasing iodine towards the finish.